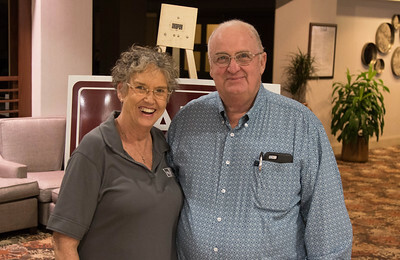 Photos of parish groups who attended the 2018 WLC Spring Conference in Lafayette, Louisiana. Photos by Karl Wiggers. 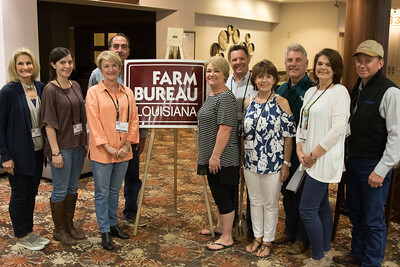 On March 16, 2018, Louisiana Farm Bureau Women’s Leadership Committee 1st-Vice Chair Michele Simoneaux of Assumption Parish attended the Louisiana Farm Bureau Women’s Leadership Committee Spring Family Conference in Lafayette. 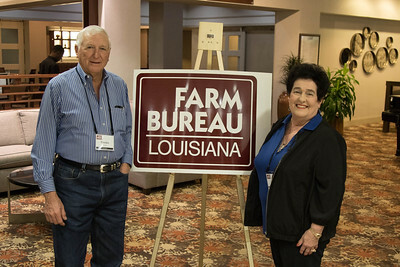 On March 16, 2018, Louisiana Farm Bureau Women’s Leadership Committee East Baton Rouge Parish Chair Joy Womack and her husband, Victor Womack attended the Louisiana Farm Bureau Women’s Leadership Committee Spring Family Conference in Lafayette. 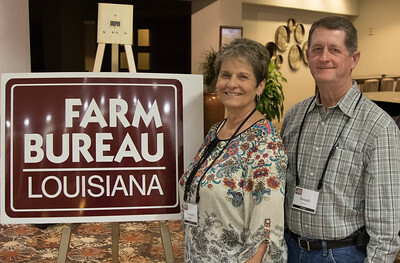 On March 16, 2018, Louisiana Farm Bureau Women’s Leadership Committee Ex-Officio Denise Hymel and her husband, George ‘Scrap’ Hymel, attended the Louisiana Farm Bureau Women’s Leadership Committee Spring Family Conference in Lafayette. 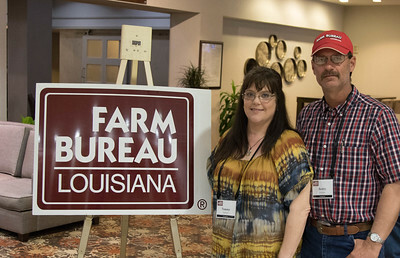 On March 16, 2018, Louisiana Farm Bureau Women’s Leadership Committee Bossier Parish Chair Debbie Blanchette and her husband Randy Blanchette attended the Louisiana Farm Bureau Women’s Leadership Committee Spring Family Conference in Lafayette. 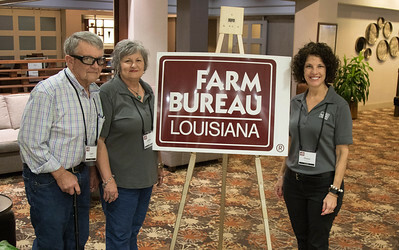 On March 16, 2018, Louisiana Farm Bureau Women’s Leadership Committee St. Landry Parish Chair Adeline Lafleur, her husband Larry Lafleur, left, and Louisiana Farm Bureau Women’s Leadership Committee State Chair Denise Cannatella, right, attended the Louisiana Farm Bureau Women’s Leadership Committee Spring Family Conference in Lafayette. 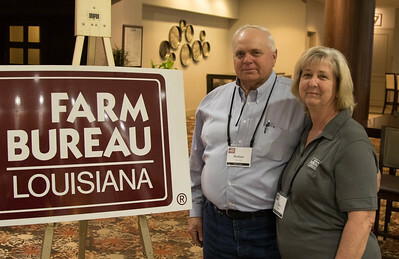 On March 16, 2018, Louisiana Farm Bureau Women’s Leadership Committee Lafourche Parish Chair Margaret Babin and her husband Ralph Babin attended the Louisiana Farm Bureau Women’s Leadership Committee Spring Family Conference in Lafayette. 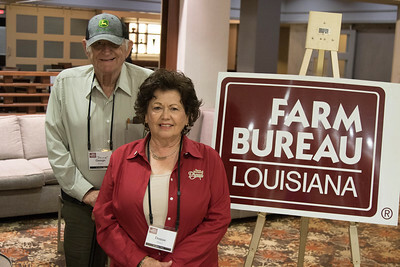 On March 16, 2018, Louisiana Farm Bureau Women’s Leadership Committee District X Director Sandra Sotile and her husband Frankie Sotile of Ascension Parish attended the Louisiana Farm Bureau Women’s Leadership Committee Spring Family Conference in Lafayette. 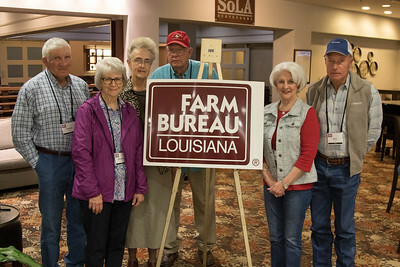 On March 16, 2018, Donald Sciafe, Elizabeth Sciafe, Louisiana Farm Bureau Women’s Leadership Committee Sabine Parish Chair Helen Webb, her husband Troy Webb, Linda Guay and Billy Guay attended the Louisiana Farm Bureau Women’s Leadership Committee Spring Family Conference in Lafayette. 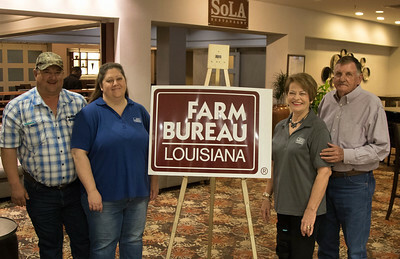 On March 16, 2018, Louisiana Farm Bureau Women’s Leadership Committee District VI Director Shawna Durr, with her husband Philip Durr, left, and Louisiana Farm Bureau Women’s Leadership Committee 3rd- Vice Chair Bonnie Pace, with her husband Jack Pace, right, of Natchitoches Parish attended the Louisiana Farm Bureau Women’s Leadership Committee Spring Family Conference in Lafayette. 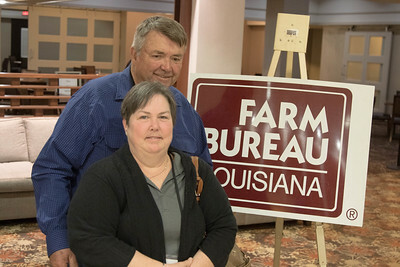 On March 16, 2018, Louisiana Farm Bureau Women’s Leadership Committee Tangipahoa Parish Chair Rosemary Ridgedell, with her husband Wesley Ridgedell, attended the Louisiana Farm Bureau Women’s Leadership Committee Spring Family Conference in Lafayette. 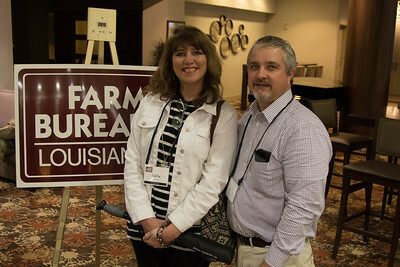 On March 16, 2018, Louisiana Farm Bureau Women’s Leadership Committee Evangeline Parish Chair Tammy Fontenot and Louisiana Farm Bureau Evangeline Parish President Scotty Fontenot attended the Louisiana Farm Bureau Women’s Leadership Committee Spring Family Conference in Lafayette. 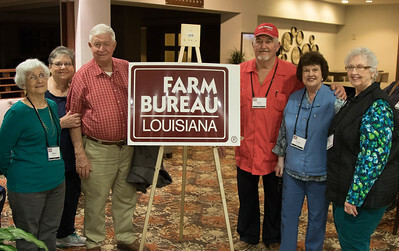 On March 16, 2018, Jill Devillier, Dorothy Johnson, Dwight Provost, Louisiana Farm Bureau Avoyelles Parish President Philip Lamartiniere, Louisiana Farm Bureau Women’s Leadership Committee Women’s Leadership Committee Avoyelles Parish Chair Janis Lamartiniere, Dot Riche and Walter Riche attended the Louisiana Farm Bureau Women’s Leadership Committee Spring Family Conference in Lafayette. 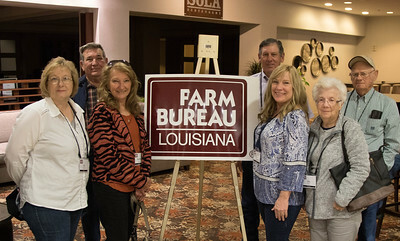 On March 16, 2018, Eldine Richard, Martha Scanlan, Carl Scanlan, Lynn Hundley, Kelly Hundley and Sylvia Habetz of Acadia Parish attended the Louisiana Farm Bureau Women’s Leadership Committee Spring Family Conference in Lafayette. 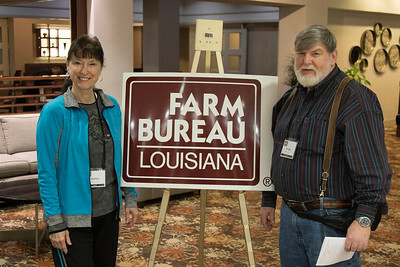 On March 16, 2018, Charlotte and Donald Berken of Jeff Davis Parish attended the Louisiana Farm Bureau Women’s Leadership Committee Spring Family Conference in Lafayette. 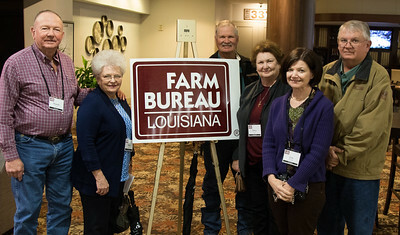 On March 16, 2018, Louisiana Farm Bureau Women’s Leadership Committee District VIII Alternate Director and Vermilion Parish Chair Roslyn Simon, Jamie Lee, Christine Devenport, Dan Devenport, Gail Robicheaux, Eric Robincheaux, Gail Herbert, Tim Herbert, Gwen Broussard and Timothy Broussard attended the Louisiana Farm Bureau Women’s Leadership Committee Spring Family Conference in Lafayette. 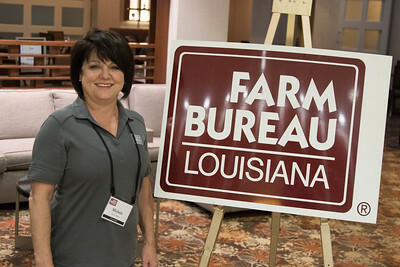 On March 16, 2018, Louisiana Farm Bureau Women’s Leadership Committee District III Director Christy Ingram of Franklin Parish attended the Louisiana Farm Bureau Women’s Leadership Committee Spring Family Conference in Lafayette. 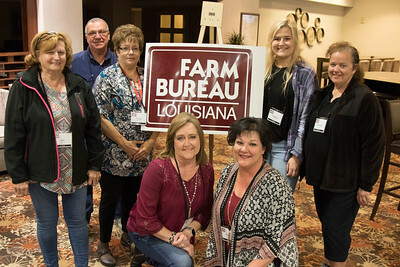 On March 16, 2018, Jan Roberts, Darrell Theriot, Vicki Albert, Pam Melancon, Louisiana Farm Bureau Women’s Leadership Committee St. Martin Parish Chair Kizzy Theriot, Chalisse Huval and Brittny Huval attended the Louisiana Farm Bureau Women’s Leadership Committee Spring Family Conference in Lafayette. 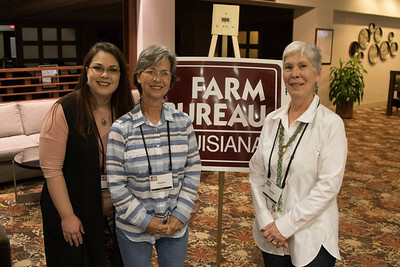 On March 16, 2018, Nikki Jaques, Janice Cheek and Louisiana Farm Bureau Women’s Leadership Committee Rapides Parish Chair Debbie Harper attended the Louisiana Farm Bureau Women’s Leadership Committee Spring Family Conference in Lafayette. 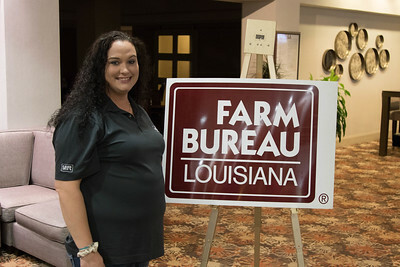 On March 16, 2018, Louisiana Farm Bureau Women’s Leadership Committee St. Tammany Parish Chair Callie Foreman, with her husband Clay Foreman, attended the Louisiana Farm Bureau Women’s Leadership Committee Spring Family Conference in Lafayette. 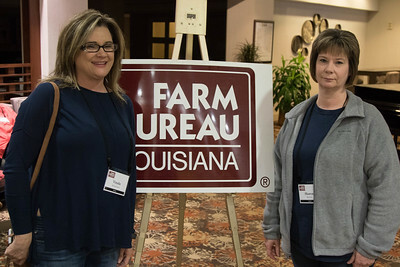 On March 16, 2018, Vonda Richardson and Sharon Roberts of Grant Parish attended the Louisiana Farm Bureau Women’s Leadership Committee Spring Family Conference in Lafayette. 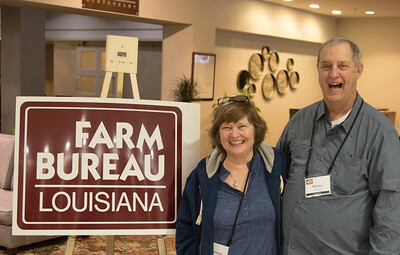 On March 16, 2018, Louisiana Farm Bureau Women’s Leadership Committee Secretary-Treasurer and Pointe Coupee Parish Farm Bureau Women’s Leadership Committee Chair Fawn Courville, with her husband Rodney Courville, attended the Louisiana Farm Bureau Women’s Leadership Committee Spring Family Conference in Lafayette. 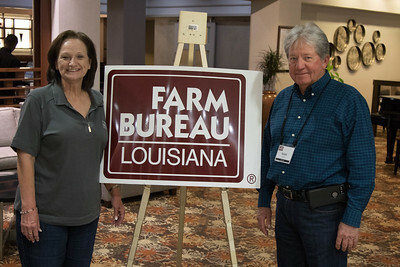 On March 16, 2018, Louisiana Farm Bureau Women’s Leadership Committee 2nd-Vice Chair Becky Hensgens and her husband Johnny Hensgens of Calcasieu Parish attended the Louisiana Farm Bureau Women’s Leadership Committee Spring Family Conference in Lafayette.